For many ages mankind has known and utilized the ocean grown plants to complement his diet and also provide extra fodder to eager cattle. As human food there are many that are not only edible but also palatable. Japanese traders are very involved in the harvesting of seaweeds throughout the oceans of the world. Known as a staple part of their food for over 10,000 years, Japan is still the country with largest intake of seaweed in their diet. Because of this factor, goitre is practically unknown and their people share a wonderfully high quality health and youthful appearance with fine hair, teeth and nails. A range of seaweeds for use in sophisticated eastern cuisine of the Japanese is now commercially available in Australia. But until comparatively recently there has been little knowledge available about seaweeds in the Western world – not enough to give confidence to anyone trying out the various seaweeds found on the beaches. So it is a relief to know that the ones that are well known to the casual experimenter, that the pleasant tasting sea lettuce which is bright green and like a soft endive in character, and the common kelp, are both safe to eat. 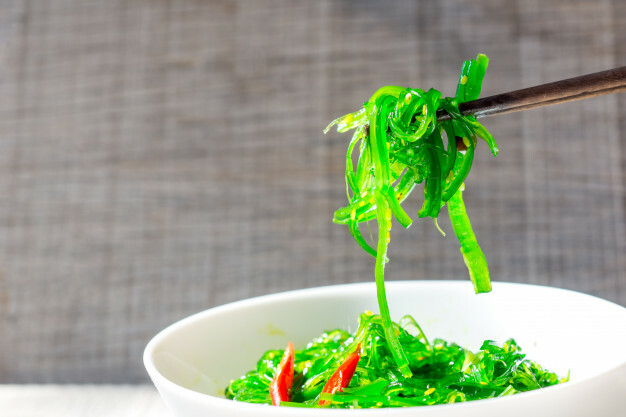 Current research and investigation into the nutritional value of the estimated 25,000 different species of edible seaweeds of identified plants is somewhat limited. It is an ever growing sphere of interest to botanists, nutritionists, dieticians, and health conscious people of the world who wish to reduce some of the dangers of land grown produce. There is an abundance of seawater on our planet and sufficient coastal waters to allow additional cultivation of massive amounts of seaweeds to provide us with alternate foods should this be necessary. At present we should utilize them as food to supplement our soil grown vegetables and herbs and provide us with valuable trace elements and minerals missing from produce grown under modern methods of farming on lands now often contaminated in some way. Many health conscious people already are familiar with the benefits of kelp and make use of the abundance of this plant on the North American western seaboard. Others in Europe, Britain and Australia are familiar with agar-agar which can be used in additions to commercial products, to make a delicious jelly and employed in the home. Spirulina is already a very popular food supplement worldwide. So let’s extend our interest and try out some new foods. 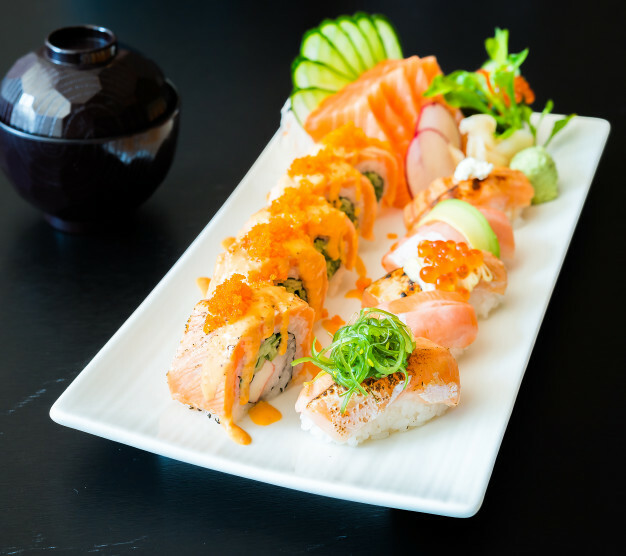 Try some oriental recipes and tips that will add food value and exciting new tastes to our diet! Do your research on various Japanese dishes and see which ones might be something you could actually consume. So why not get out of your comfort zone just a little and try something edible and healthy to eat.